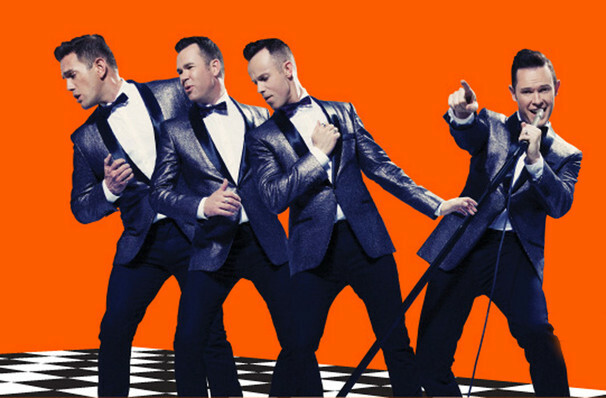 Arguably one of the longest-running modern boy bands, Australian vocal outfit Human Nature have been touring, recording and performing to legions of fans since the mid-Nineties, and have now returned to the Venetian hotel for a new residency for three years! First hitting Vegas in 2009 with their heavily praised "Motown Show" (winning over the likes of legendary Smokey Robinson), they managed to clocked up over 1300 performances during a six year residency, before hitting the road on tour. Now they present their latest album Jukebox, a mixture of Motown, vocal pop, soul and 50s and 60's standards, which went platinum late in 2016. One of the biggest foreign acts to gain a residency in Sin City, Human Nature's impressive credentials speak for themselves. Known for a string of popular hits including Wishes, Don't Say Goodbye', 'Don't Cry', 'Eternal Flame', plus many more, they have sold more than 2.5 million albums worldwide, earning 25 platinum awards in the process. They just may be the most successful band you've never heard of. Seen Human Nature? Loved it? Hated it? Sound good to you? 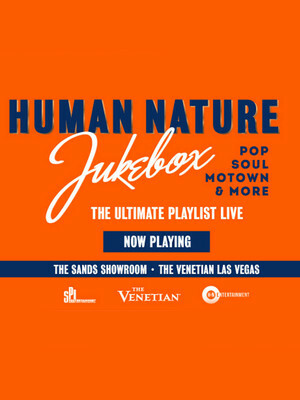 Share this page on social media and let your friends know about Human Nature at Sands Showroom at the Venetian Hotel Las Vegas. Please note: The term Sands Showroom at the Venetian Hotel Las Vegas and/or Human Nature as well as all associated graphics, logos, and/or other trademarks, tradenames or copyrights are the property of the Sands Showroom at the Venetian Hotel Las Vegas and/or Human Nature and are used herein for factual descriptive purposes only. We are in no way associated with or authorized by the Sands Showroom at the Venetian Hotel Las Vegas and/or Human Nature and neither that entity nor any of its affiliates have licensed or endorsed us to sell tickets, goods and or services in conjunction with their events.